Do you have a young horse you need started? Having trouble with one that's already broke? Want someone else to give him some mileage? Prepare for sport horse breed shows! Athena and her team can prepare your young horses and mares for the East Coast Breeder's championship series sport horse breed shows. 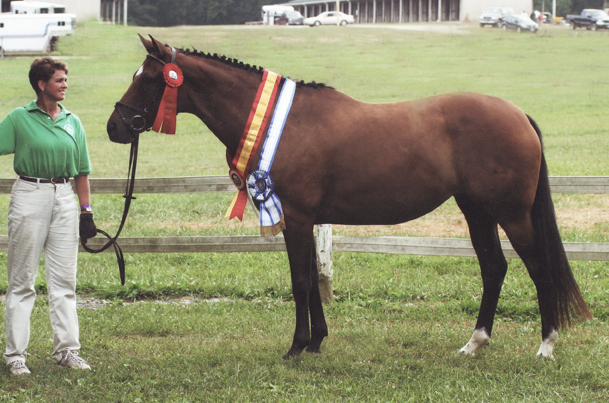 Horses they have worked with have placed top ten at both Dressage at Devon and the Devon Horse Show numerous times, plus Athena has won the handler class at Dressage at Devon. Your handler will appreciate the foundation your horse gets with us! 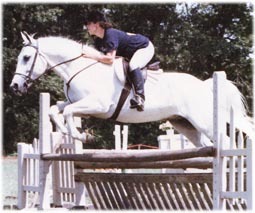 Athena has been working with off the track Thoroughbreds since 1986 when she was the assistant director of the University of Maryland's Equestrian Association. The program maintained approximately 20 riding horses on campus, most of whom were right off the track. 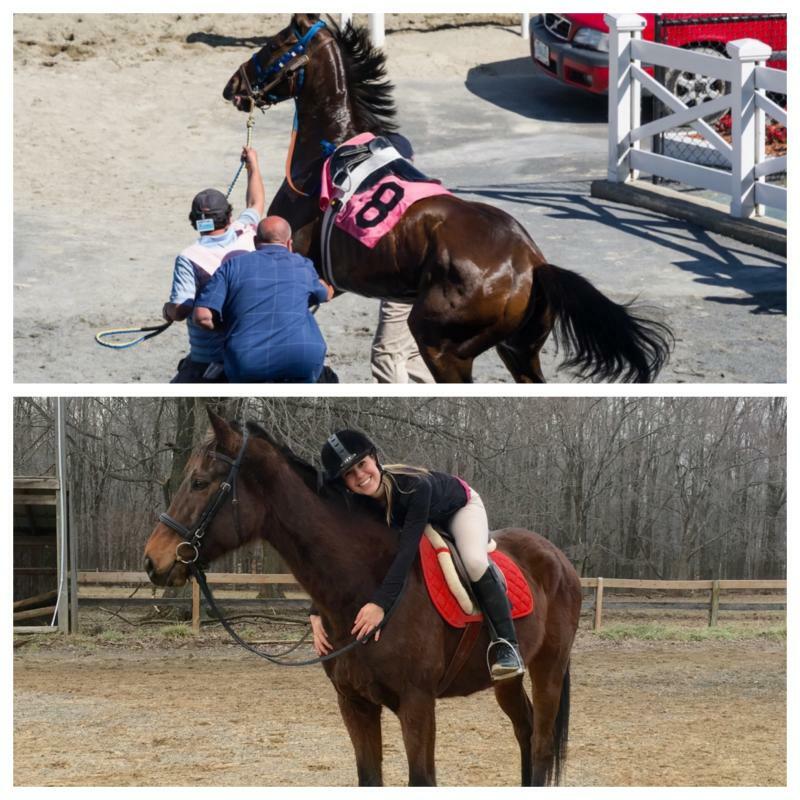 In addition to transitioning many Thoroughbreds from track to new careers, she has a thorough understanding of their life on the racetrack, having been a barn rat at Belmont Park since 2009. 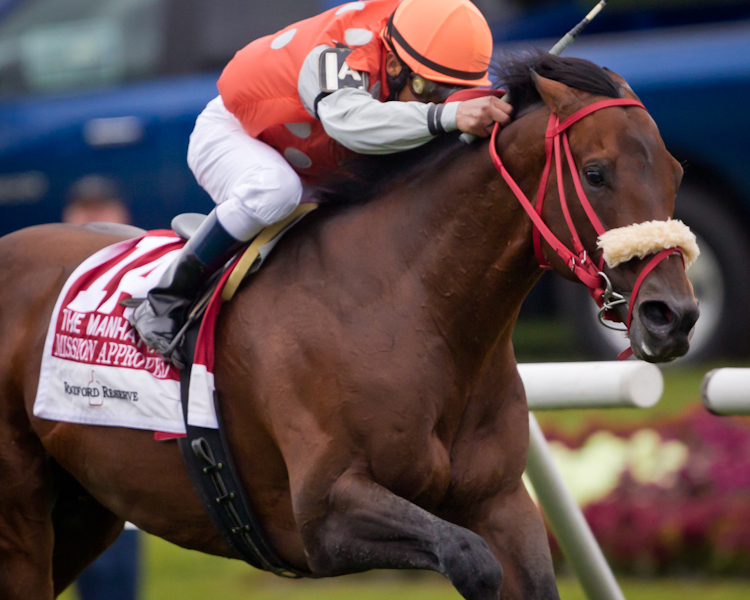 She has helped prepare horses for going to the track, ponied, groomed, hot-walked, and shipped many racers, including Grade 1 Stakes Winner Mission Approved. Understanding how racers are ridden and handled at the track is an essential key to beginning their transition into a new career. In addition, she is very familiar with common race injuries and how to rehabilitate them. Creating a personalized program for each horse is her specialty. 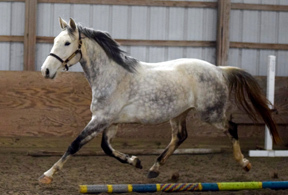 Athena has the unique ability to assess each horse's mind, body, and spirit to build a program for horse and rider that helps them develop at a comfortable pace. Want to see the success? 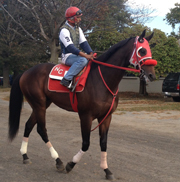 Come by and watch any of our OTTB's at Encore Stables in action. 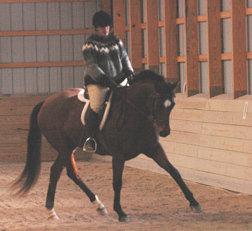 We have horses in all stages of re-training in our program, as well as client's who bring theirs for lessons. Athena broke her first horse, a recently gelded 10 year old when she was a young teenager. Much to his former owner's surprise and pleasure, she was showing within a year at local shows on what was essentially a stallion. Throughout college she honed her skills working with thoroughbreds off the track where she was the assistant director of the University of Maryland's Equestrian Association. After moving from the Hamptons in New York, a mecca for hunter jumpers, to Maryland, she discovered the world of dressage and quickly applied all she was learning to her hunter/jumpers. As time went on, she focused more and more on young horses. 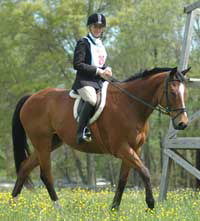 Dressage, eventing, and fox hunting quickly became a passion, using the hunter jumper ring for practice over fences. Though many of you may know her through her horse transportation company www.horsejitney.com, she is actually the founder of VetInsite and Pet Portals, an online site visited through your veterinarian's website to manage your pet's health. As an entrepreneur, finding time to ride competitively over the recent years has fallen to the wayside, but she has maintained an active and quite successful breeding program for both Oldenburgs and Thoroughbreds. With the advent of Encore Stables, she is returning to her passion, the breeding and training of quality horses for pleasure and show. rehabilitation programs for horses of all ages, as well as training programs to create a happy, well-balanced, horse that can excel in dressage, jumpers, hunters, and eventing. Live close by? Bring your horse for lessons and save on board! Need a ride? Our partner company Horse Jitney is available for local pickups and delivery.